AMD has showcased their first “Summit Ridge” ZEN CPU in a press conference on Computex 2016. Like previous ones the new CPUs will come with a total of 8 cores and 16 threads with a 40% more IPC performance than AMD’s previous CPU architectures, meaning that this CPU will be offering significantly higher performance than AMD’s current CPUs and make AMD competitive with Intel again. 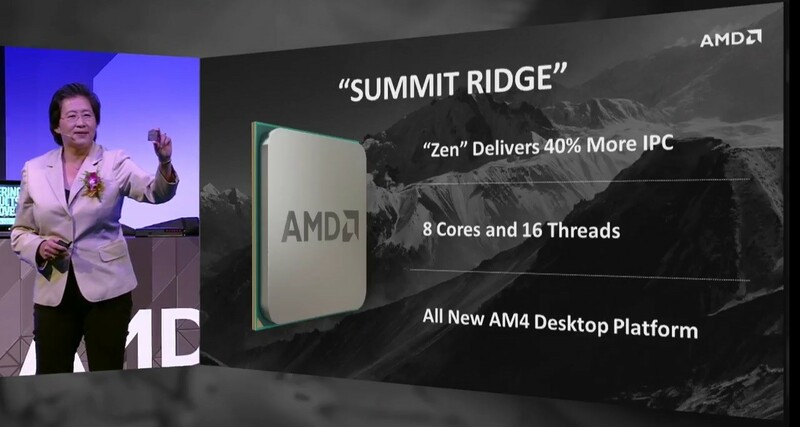 The Summit Ridge Zen CPU also bring a new socket and AM4 platform, which will support DDR4 memory, new connectivity features and up to date storage configurations. AMD’s Summit Ridge CPUs will be pear Polaris GPUs, for creating an ultra-efficient APUs in 2017, AMD also targeting the high-end server market with Zen based CPUs with larger CPU core counts. 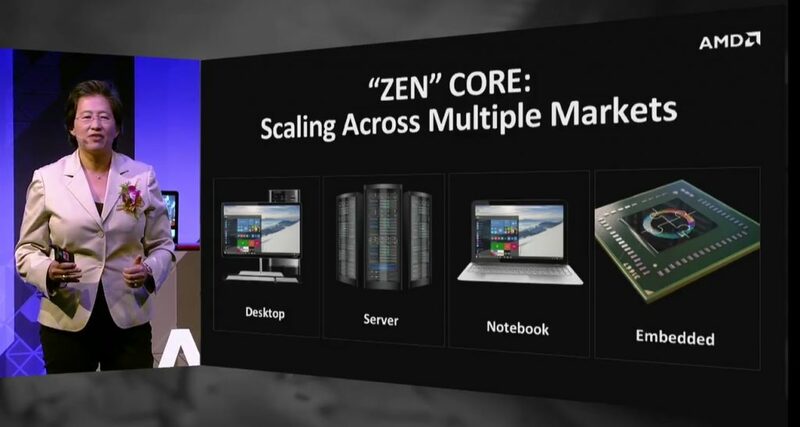 Zen will be arriving on the desktop first, in early Q3 with the AM4 platform. The Zen finally bring AMD back into high-end CPU market and hopefully it is not turned into another disaster like Bulldozer.